Love is in the air, February month countdown begins and time starts to buy and give the gifts. 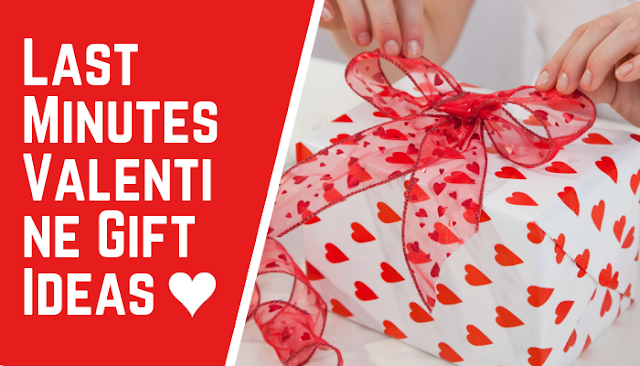 V-day is almost near and here we give you the hints to buy trending last minute gifts to give on 14th Feb. many gifts are hand-made and some gifts are given personal touch. All gifts are solely crafted to make your valentine day a most special day of life. So let’s not waste the time, quickly see to it. Valentine day chocolate is the sweet sign used to express feelings. This time don’t look for the same flavored chocolates. Give your gift a royal look by giving her multi-flavored chocolates equipped in a nice romantic box. The Royal Beans provides you the luxury gift of chocolates hand-dipped with care. So, if your partner has sweet cravings, think of this delicious gift savored in designer box. You have a little time left to think for men’s gift, love ring is the trending suggestion for you. The startling silver ring is hand crafted with the initials. It is skillfully designed to impress the boy you love from the depth of heart. If you are all set to propose your boy friend or you are sure your boy friend is going to give you a ring, your ring is a good surprise when you exchange the ring in return. Keep growing your love giving him this earth friendly gift. The self watering vase gives a life to the plants when you are not at home. The vase takes the water itself when needed. So it gives your partner of freedom to look at the plants every time. The flamingo flower plant on it helps you to see your love growing. The special message on vase helps reminding of your love every time. You have a great reason to show your love to your partner. The red romance set is equipped with red pillow customized with a girl and boy and the love message. And the red coffee mug completely matches up with it. It’s a nice gift to wake up for romance and see the romance in between two. Couples can redeem the days of love by exchanging such a romantic gift to partner. There are countless reasons why you love your partner. A scrapbook of 100 pages gives you a way to write down those thoughts. You can utter some nice poems or phrases to say how passionately you are in love with them. You have the best token of love to learn them why they are so special. Reasons must be valid and thoughtful to say why you are in love with them. Bamboo heart shaped plants are become the oldest trend. The Hoya Kerri Plant is a native to Hoya and it is very much known as a valentine plant for its heart shaped fatty leaves. This has now become a popular plant to give on valentine day. This is very much sought and used for express hearty feelings. You can buy this plant online from florist shop and give it to see the love growing every time. Chocolates and plush bear is a thoughtful gift tickle the sweet girl in your girl. The heart shaped tin is full of sinful chocolates. Plus bear is soft and pampering gift to recall the love memories. You are living in long distance relationship and short of time, online valentine day gift promises you the earnest gifts delivery service in time. You want to take your relationship to the next level, trust me this gift will help you in making this. Want to spoil your sweetheart, get her I love you Beige Teddy Bear. This fluffy and furry animal holds a love message on it. It is perfectly stitched and made to gift for those who are in love. You can prove your love from distance by sending this pampering gift to your partner. This is a sign that though in distance you still love your partner from the chore of heart. Time never stops for any one. It is only you can make the time a memorable journey of life. Valentine day is a prominent time comes once in a year to see why you love them. Presents are the nice tokens that represent unending and unconditional love. We have tried our best to give you the trendy collection of gifts that makes your bonding stronger and healthier. So without fail, choose any one or two gifts to let your partner recognize the innermost feelings of you. Hope you guys enjoyed this article and get the clues of what to buy on valentine.